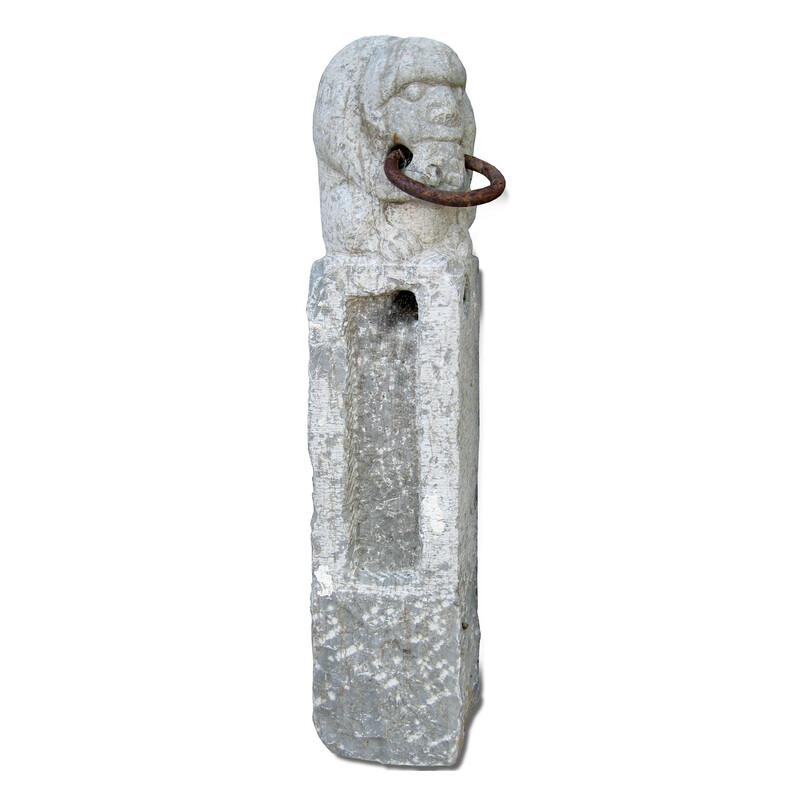 This ancient stone hitching post was used to rope a horse by the traveling military personnel or any traveler during the ancient time when stopping to take a break or to stay overnight at a tavern. In the museums in Shanxi province and other areas, one can see some of the stone hitching posts with various different carved motifs like the ones in Shen's Special Collection. The original posts were usually much taller. One sees the timeless beauty and the cultural back ground of these beautiful stone carvings in the sculptural form. Shown here is a human-like monkey or a gorilla on the top of the post. Monkey is a popular motif in Chinese stone art from the Ming Dynasty. One associates it with loyalty and wisdom through the personified monkey figure presented in the literature classic "Xi Yuo Ji (The West Bound Journey)" which describes the journey of the Tang-Sun-Tzang monk who went to India and brought back the Buddhist scripts to China during the 7th century. Hence, the Buddhism was introduced to China.